I’m not in my car for this episode. In fact, I’m on a camping vacation with my family in Wisconsin. But I wanted to make this quick episode about the upcoming 2-day workshop taking place in San Diego at the end of this month with my special guest Todd Toback. 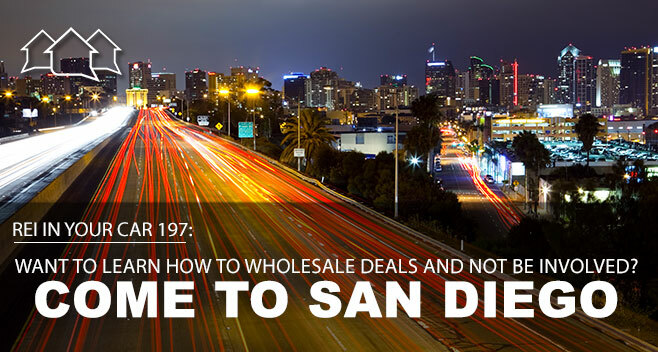 This workshop will take place on the bay in San Diego, in a small group setting for 2 days of intense “Wholesaling Lease Options” and “Automated Wholesaling” instruction. 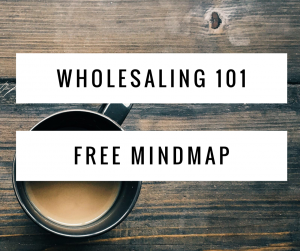 You’ve probably heard me talk about how at one point several years ago, I stepped back from my business and asked myself, “How can I do none of this?” The end result of answering that question was my hands-off business model that allows me to travel with my family while still closing deals. At this workshop, I’ll go into great detail regarding the systems and tools that make this strategy work. The dates are July 28 and 29. I’m keeping this to a small group, so if you’re interested, sign up now.